So Grace was still down for the count with the illness and Benji still wasn’t eating much so I figured it best if I just took Mina someplace. It was already getting late so we jumped in the car and I just started driving. This is pretty much what this has come to on quite a few days as of late. We never really do get our act together as far as planning. I hooked a right towards Allen and figured I’d just drive thru “downtown” Allen and head towards the highway and then north until I found something or hit the city limits. I saw a few places and asked Mina her choice. She wanted to eat at the restaurant whose sign simply said “Chinese Restaurant”. I steered her away from that one. 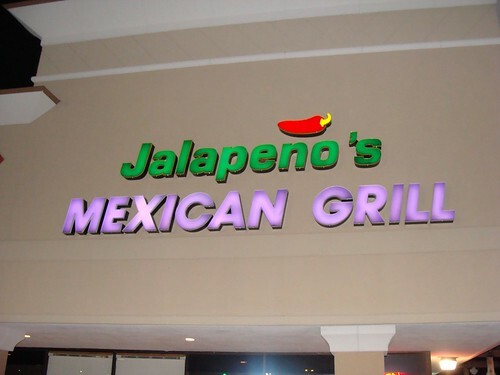 We were about to keep driving when she said she’d go for Jalapeno’s Mexican Grill which we just passed. So I pulled in, parked, and we headed inside. We were seated quickly but then some time passed and still no drink order had been taken. The lady bussing the table nearby asked if anyone had taken our drink order and thankfully took it. She passed it along to the waitress who finally came by a couple minutes later. Out came some chips and hot sauce along with free queso. That’s a plus. I was about to order some. Mina was busy reading the advertising cards that decorated all the tables. I was wondering how much someone pays for the ad that says call for auto insurance quotes on your cell phone while you wait on your food. Not sure who does that. There was a kid’s menu but no activities, so it was a good thing Mina found them so fascinating. We placed out order when the drinks arrived and made a bit of small talk about our ongoing “Magic Forestland” project at the house. Mina saw an ad for a place the sold pebbles and river rock which were needing. I actually half considered taking down the info so at least one of these companies would get their advertising dollars back. Maybe these things do work. Our food arrived in short order and Mina actually ate a bunch of her food in record time. She was half done when I finished and only needed a few more bites to get through most of it. She even ate a good bit of beans. Just for that it was time for dessert. 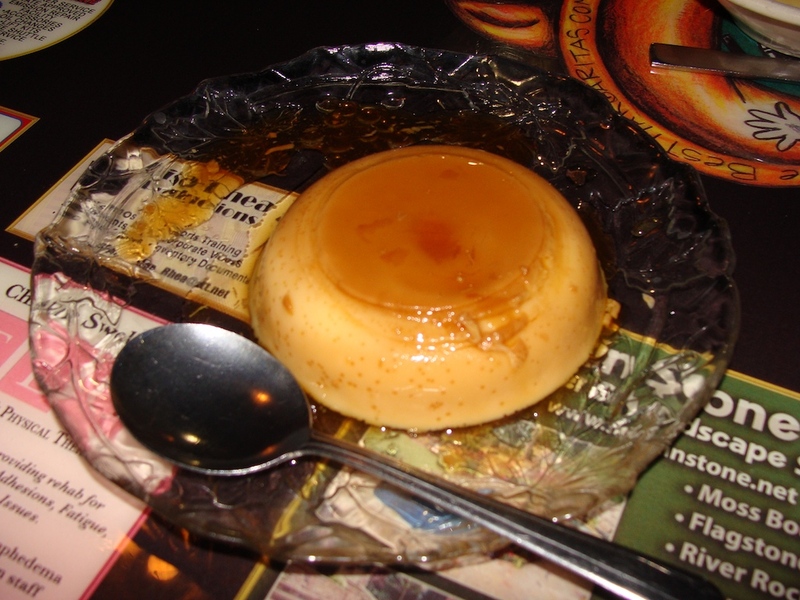 I ordered up some flan for Mina and she also devoured that. Apparently Mina eats better when its almost 9PM. While she finished, I started to flag down our waitress who hadn’t been around much this evening so we could get out of here. It took me about another 10 minutes to get the check settled so we could head home. Benji was already asleep when we got there and Mommy wasn’t far behind. Wonder who will make it to dinner next? Hopefully I will be the one family member the illness skips. Pretty decent food. 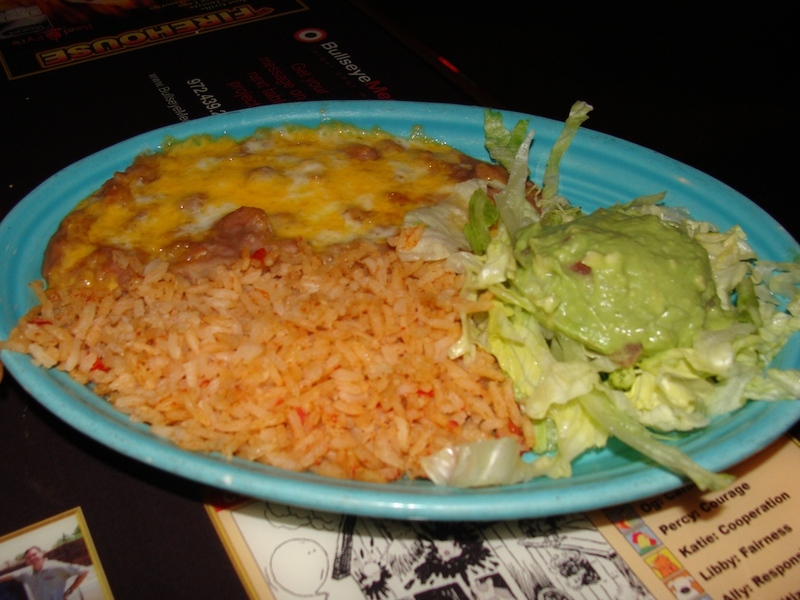 Definitely not top tier Tex-Mex but good for a quick bite if you live near the area. The queso was complimentary with the chips which was nice. Just plain old queso, which suited Mina just fine. 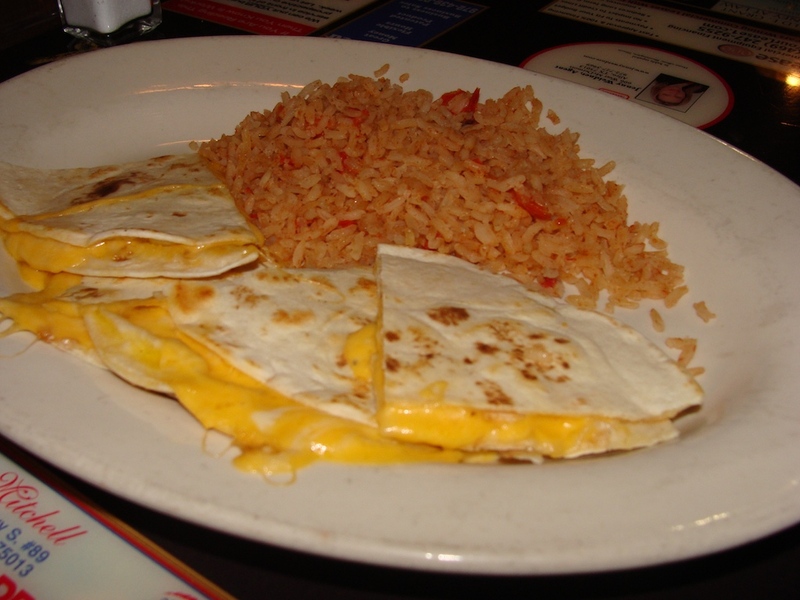 I thought it was OK.
Mina went for the Quesadillas. She really seemed to like them and wanted me to try. I did not as I wasn’t really all that hungry this evening. You’ll have to take her word for it. She at 3/4 of it which is way more than usual, so that’s a good sign. She also loved the beans that were rather chunky and covered in melted cheese. I ordered the Mex Tacos which were just street tacos. They were really quite good. The meat had a nice char and the tortillas were nicely grilled. It came with a green chile sauce that went well. I would ask for extra onions and cilantro next time as they went a little light on that. 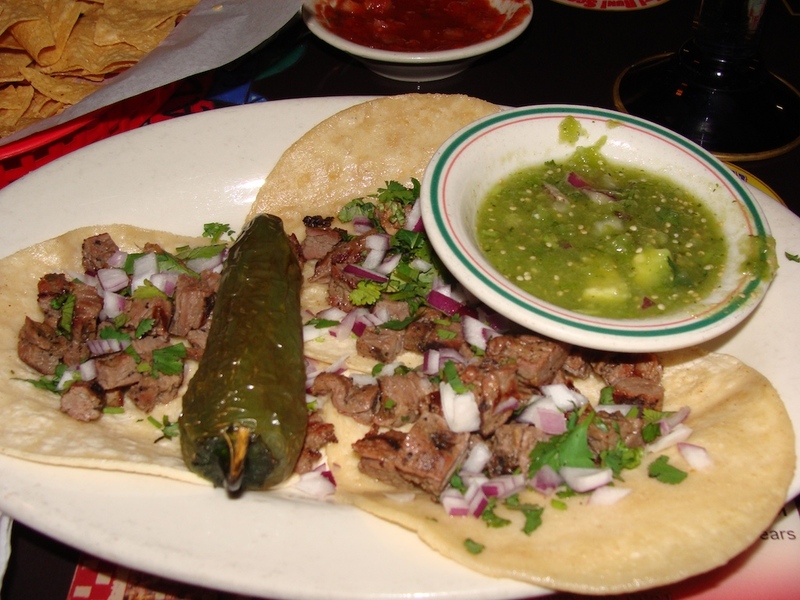 They had a good bit more meat than your usual street taco which didn’t matter much due to my lack of appetite. The service was not so hot tonight. Seemed like they were light on the waitstaff and it was near closing time, not that that is an excuse. The busboy lady was proactive and took our drink order, which is good for her. Maybe they should promote her. Then the waitress was not very frequent in her visits and I had to flag her down for several items including the check. This is a kid friendly restaurant. A family friendly neighborhood joint. One of the owners family was sitting next to us with his two kids. He came in and out of the back to check on them. 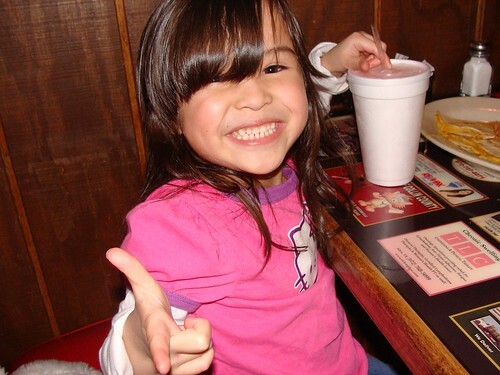 Quite a few kids around and a decent kids menu with the regular Tex-Mex choices and a few American ones. You’ll have no problems here. Very laid back. Camera battery needs to charge before I can get up the photos. I’ll get them up tomorrow for you. during the anagen phase, then hair loss is noticeable within a couple of weeks. This causes a person to become physically dependent on getting regular fixes in order to cope with daily life. because, in the first place, they don.